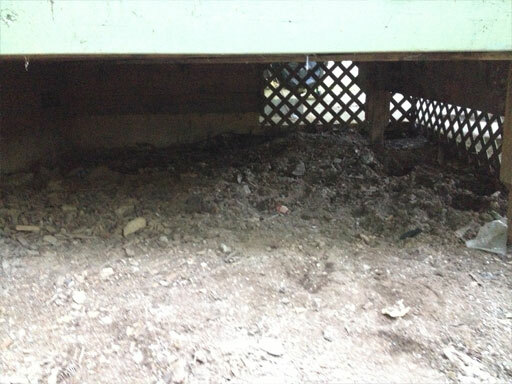 Underneath our deck are the remains of …another deck. 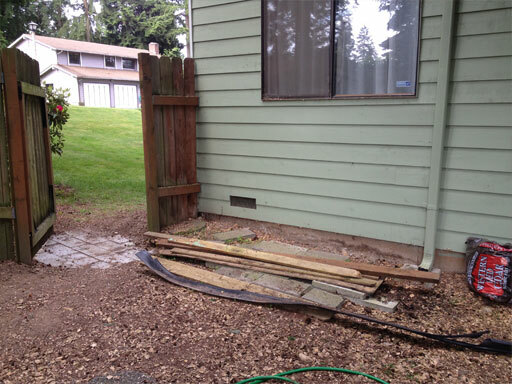 Someone just chopped up the old patio and just built a new deck over it. 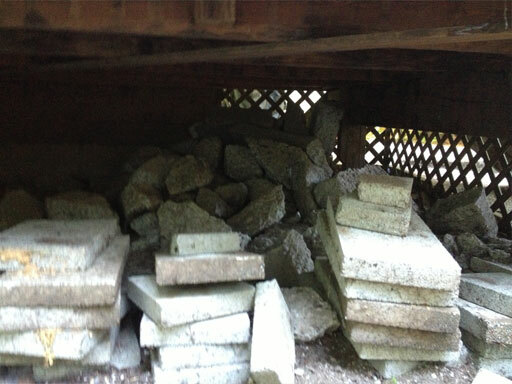 Old patio in a chopped up heap under our wooden deck. Well, whoever you are, you win the lazy award, and I win the I cleaned your mess up award. The age-old DIY’ers dilemma applied here big time: was this job worth calling a pro? Surely Jim and I can haul concrete. Let me say, after watching these two guys toil away for two hours, I’m very glad I called a pro for this job. The workers crawled around in rugged terrain, pulling the chunks out by hand, and hauling them up our hill and to their truck in a roughneck bin. If you’re in the Puget Sound area and you need some debris hauled, give Low Rate Hauling & Demolition a call – they were crazy hard-working and they came out just hours after I called. Apparently, no matter how unwanted your cement pile might be to you, there’s someone out there willing to haul it away for a couple hundred bucks. Beautiful! 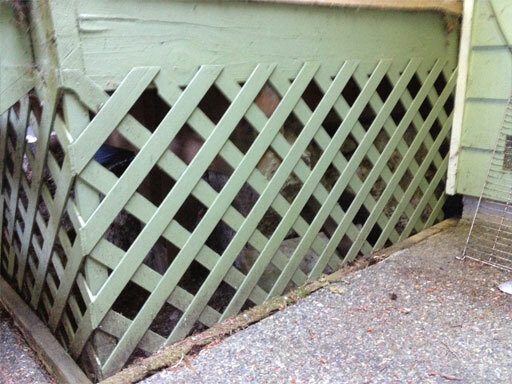 Never thought I’d say that about a space under a deck, but yup – this is beautiful. 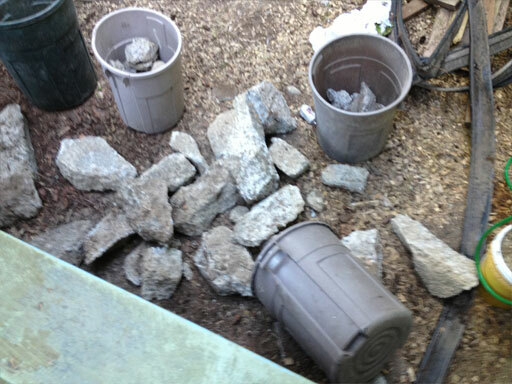 They also hauled away our pile of scrap wood from the shed tear-down and the toilet we replaced a few months ago.